In upper grade classrooms, students spend a great deal of time responding to the texts they read. 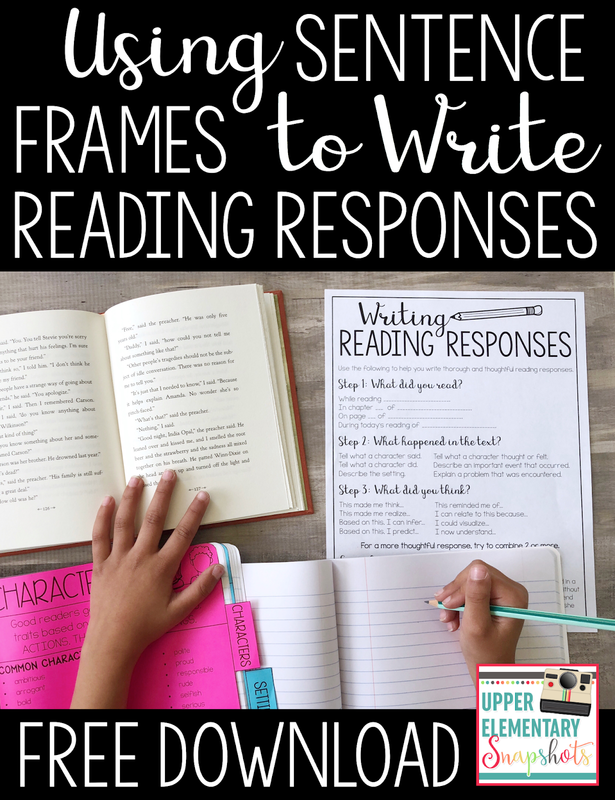 Over the years I have found that no matter what grade level I teach, students have a difficult time writing thorough and meaningful reading responses. At the start of every year my students need quite a bit of guidance when writing their responses. One of the best ways that I have found to teach students to write meaningful responses is by providing them with sentence frames. Step 1: What did you read? Step 2: What happened in the text? Tell what a character said. Tell what a character did. Tell what a character thought, felt, or learned. Describe an important event that occurred. Explain a problem that was encountered. Step 3: What did you think? 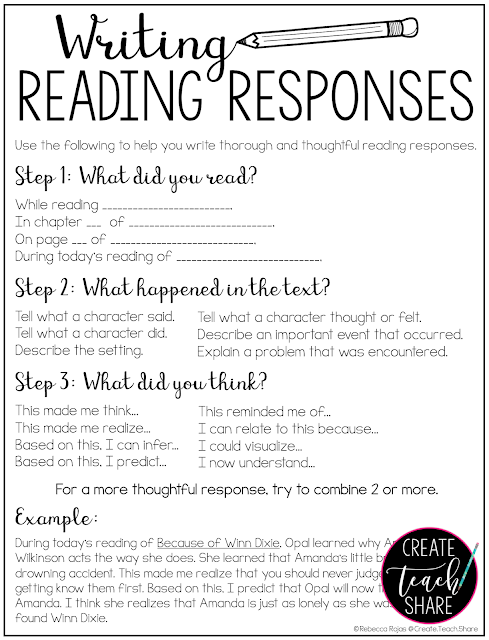 I have included a FREE handout for you to share with your students to help guide them in writing thorough and meaningful reading responses. 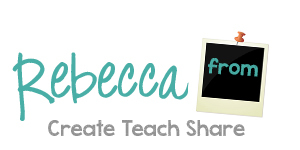 Click HERE download this FREEBIE. 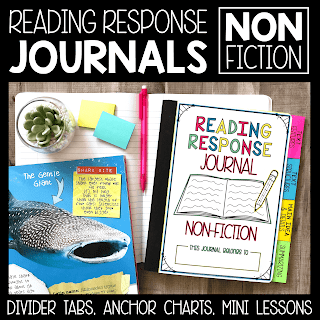 If you are looking for more resources for reading response, check out my Reading Response Journals for literature and non-fiction texts. 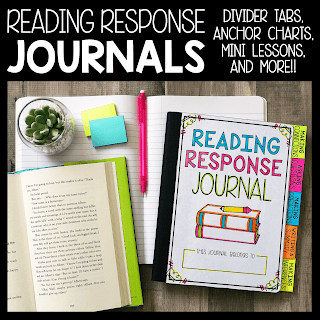 These resources include anchor charts for different reading strategies and skills, as well as more specific sentence frames for the different skills. Click on the pics to learn more. Writing thoughtful reading responses is not always easy, but with a bit of guidance from using sentence frames and prompts, it will soon become second nature for students! !